Mobile and web applications are quite the trend nowadays. Use it for traveling and you will definitely have the most exciting adventures of your lifetime. That is why a lot of application developers are burning the midnight oil in order to produce every type of travel apps to cater to every millennial traveler’s needs. If you’re one of these developers and makers, then this post might be just what you need. 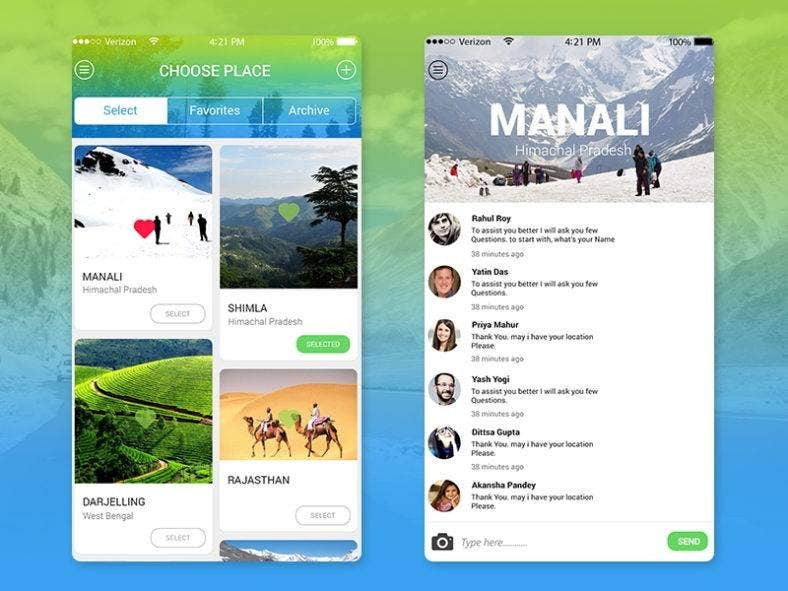 Below are some travel app designs that we have collected for you to use or find inspiration from. They include mobile and web application templates and themes that will surely excite your users. 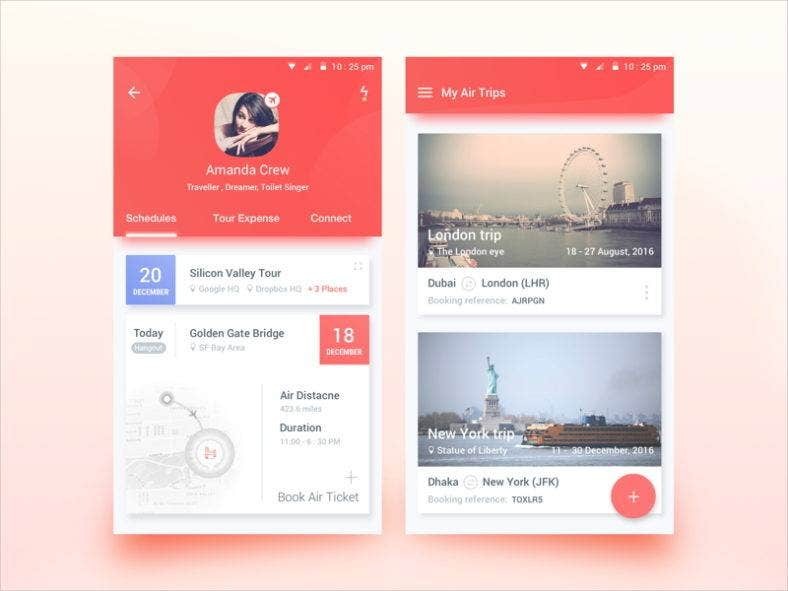 This app design lets your users organize all their air travel schedules and tour expenses in a neat and pretty way. The pastel-colored palette makes this design ideal for minimalist people or people who prefer a simple and easy-to-use applications. 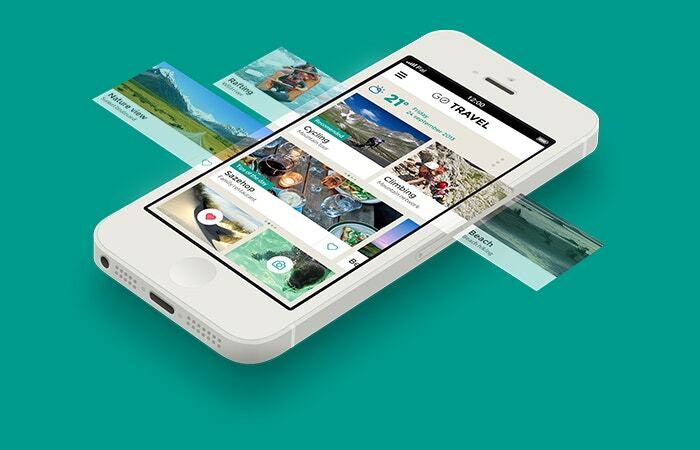 As the name implies, this travel app allows your users to record accounts of their travels and share it with others. So, what is a great way to generate interaction than to feature high-res photos of the places they’ve been to in a grid format and with a palette of natural colors? 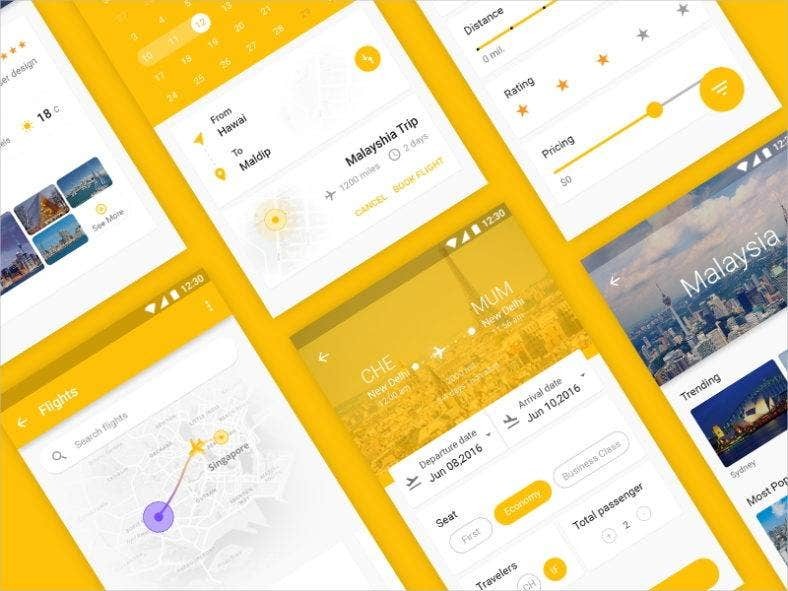 The android app you see above is a travel app with a clean but energetic layout thanks to its yellow motif. It allows your users to create a profile so they can organize all their trips as well as search, book, and confirm their flights. It also records the number of countries they have visited. 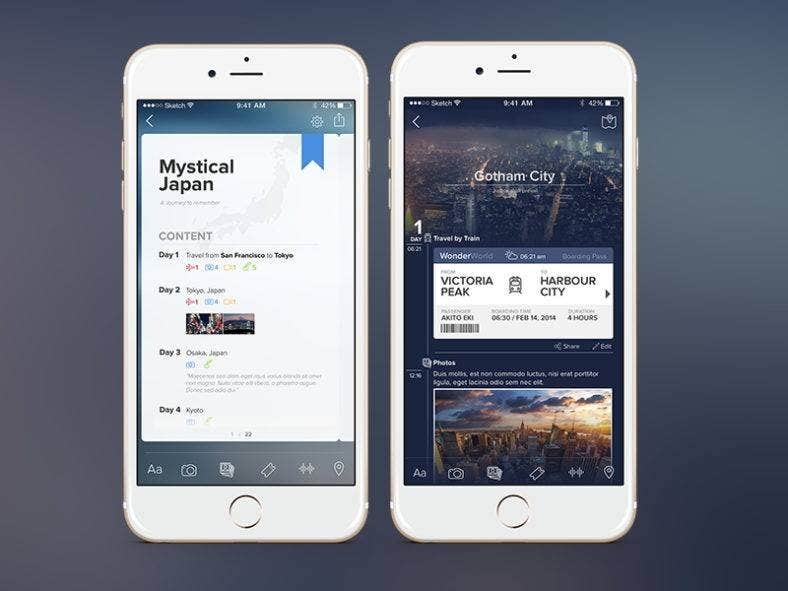 This mobile app template called Travel Places do not just let your users book or confirm flights, but also let them find various places. These places include trails, camping areas, local events, restaurants, and hotels. It also offers the ability for users to chat with fellow travelers. 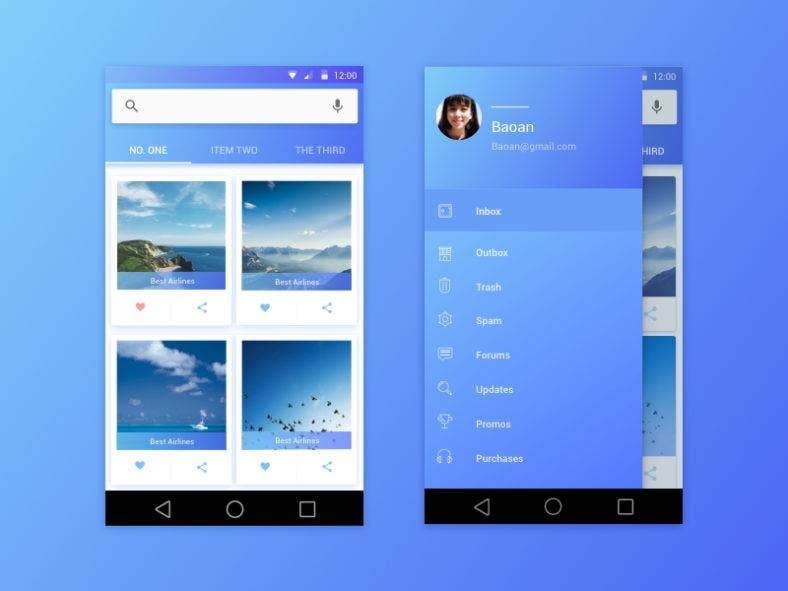 Featuring a blue monochromatic theme, this very simple travel mobile app is another application that enables your users to share pictures from their travels and different kinds of adventures. The grid-like pattern where the images are displayed is like that of Instagram. 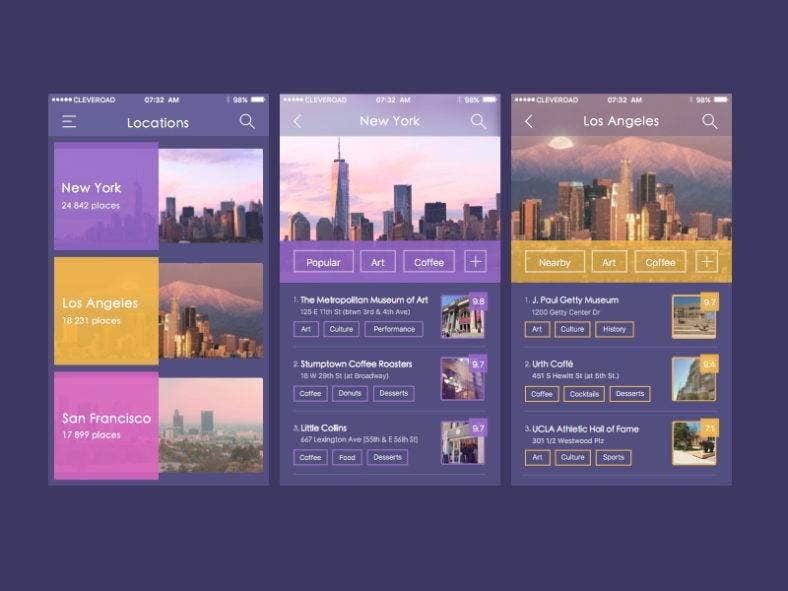 A beautiful travel application for iOS features striking images of places as background for each element. It features a login page where you can link your Facebook, Twitter or email account. It lists tours, hotels, attractions and recommendations that every traveler can use. 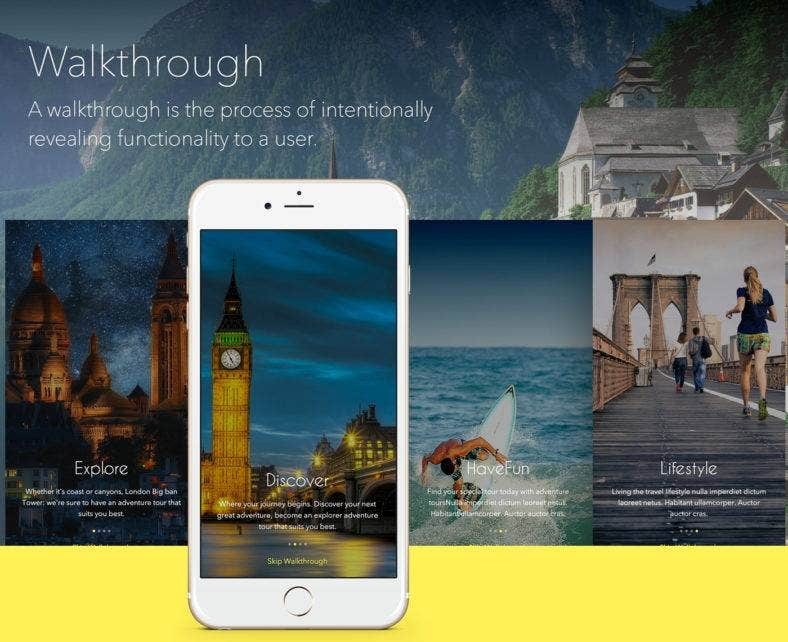 This travel journal app is characterized by a diary-like layout where your users can record the events and places they go to every day. It also allows them to upload the photos they took on that day. It has a dark color theme which makes this journal app look sophisticated. 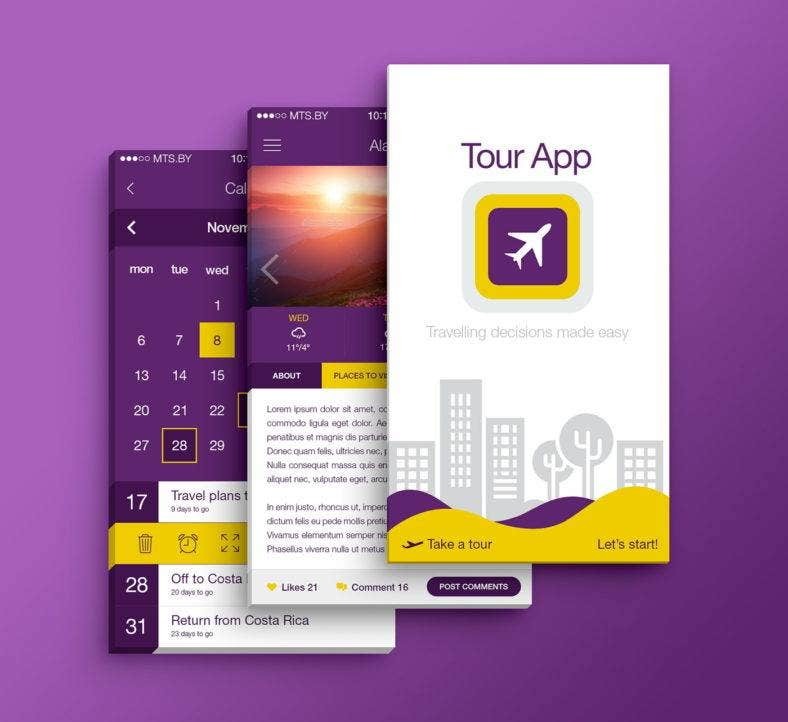 Above is a mobile tour app which uses flat UI with an interesting purple and mustard color motif. This app enables your users to create a profile on the onboarding page and lets them upload blog posts of the places they’ve been to. These posts include photos and an article which people can read and comment on. 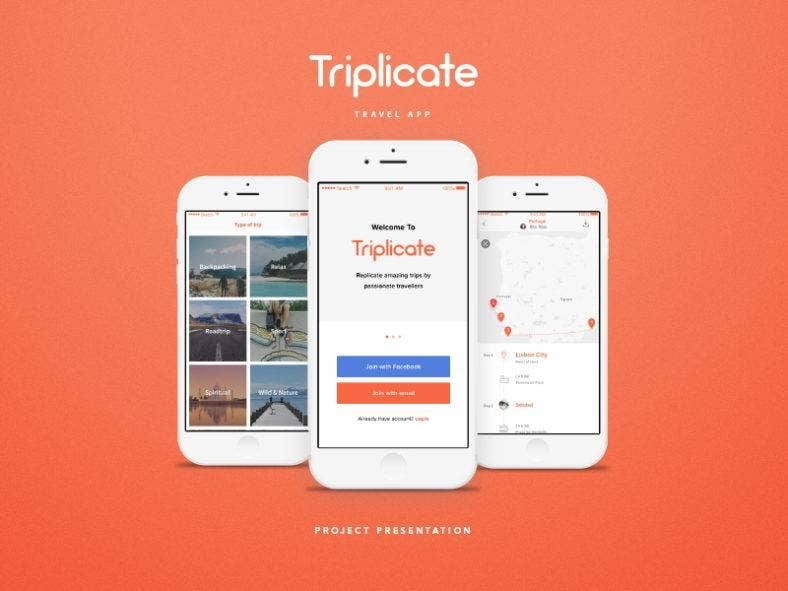 Triplicate is a responsive travel app that provides accounts of trips taken by different travelers which your users can replicate. It lets your users choose different types of trips such as backpacking and road trips or trips for different purposes such as relaxation, spiritual or sports. 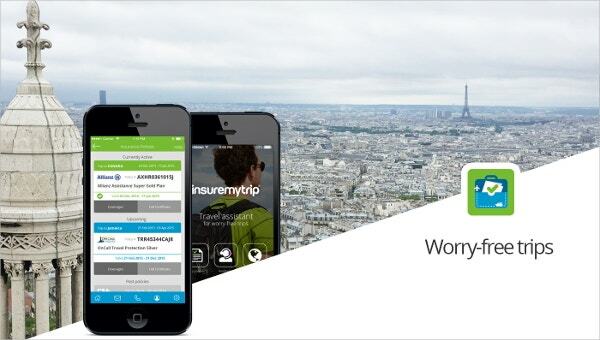 This is a travel mobile app designed to assist people who use travel insurance during their trips. 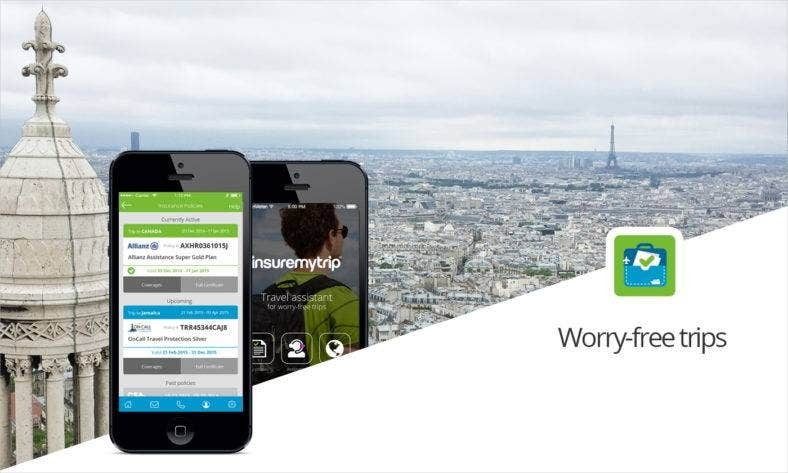 It allows users to purchase and use their insurance by having full access to all the information such as insurance policy details, travel area information, and emergency contacts. This is another travel application for the iOS platform. What sets it apart, however, is that it provides a list of places which are popular: places for art, or places to have coffee. This app is great for people who are traveling to a new place but don’t know what to do or where to have fun. People travel for many various reasons. Go Travel is a travel concept design that is based on the user’s interest. It allows users to search and choose between a list of activities such as cycling or climbing and providing them suggestions for the right places to go to. 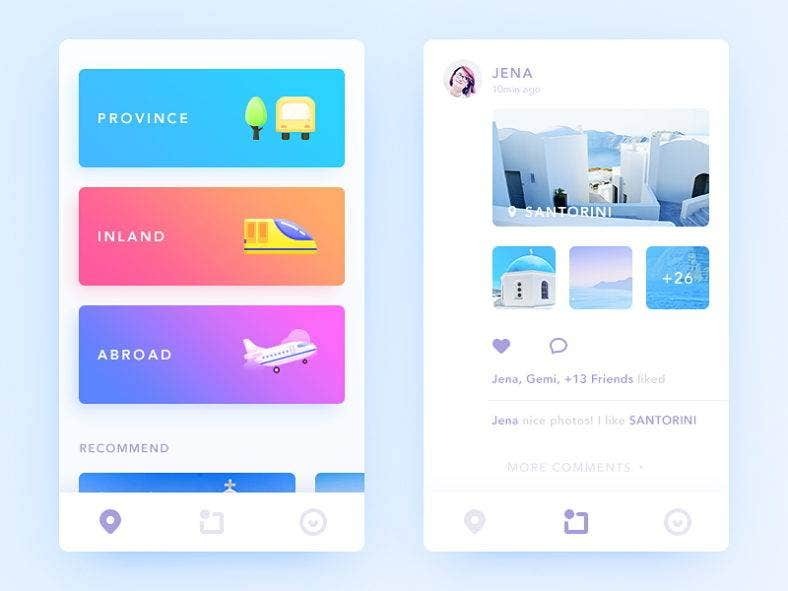 This travel app for iPhones features lovely illustrations in a color palette featuring the night sky. It lets users post their travels on a platform that also lets other people rate and comment on them . It also has pages for maps and guides which users can use while they’re traveling. Just like most travel apps, this booking travel app is characterized by a clean and simple layout to provide an organized UX flow . However, this app focuses more on the traveler’s booking details and shows the status of different bookings made by the user. Above is a trip app which uses a cute pastel color theme with equally cute app icons and illustrations. It has a clean layout and awesome gradient backgrounds for its element. If you’re a designer and a sucker for cute stuff, then this design is right for you. 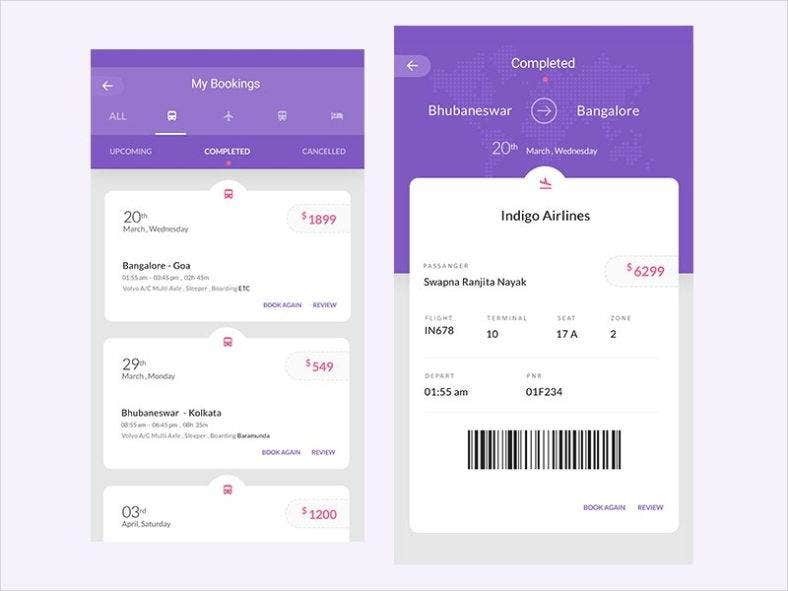 On the other hand, the last travel app design features a dark background and a purple motif which provide a rather elegant and sophisticated aesthetic. 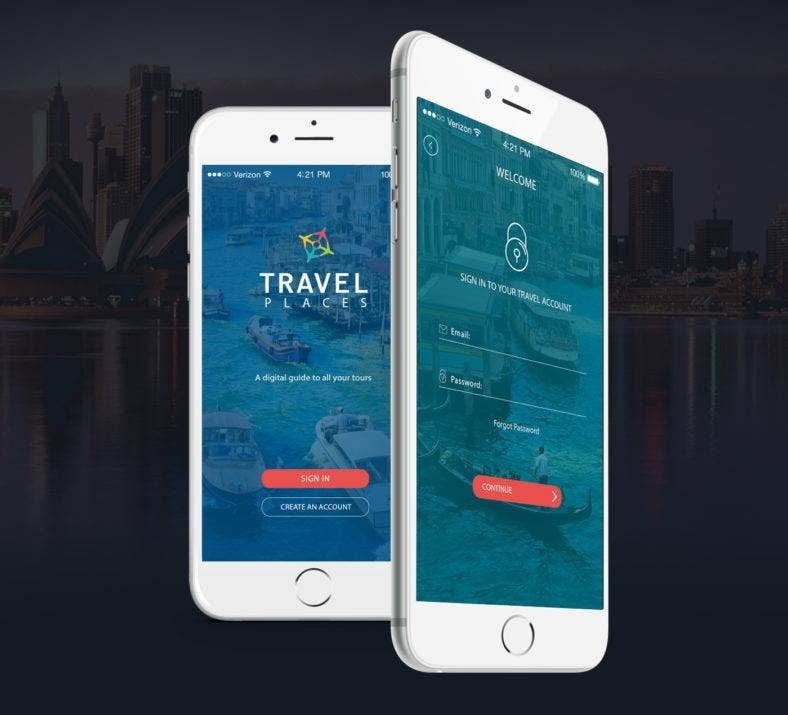 This mobile app lets you plan your travels from the mode of transportation, schedules and holidays, accommodations, and activities with an awesome user interface for a mobile app design. 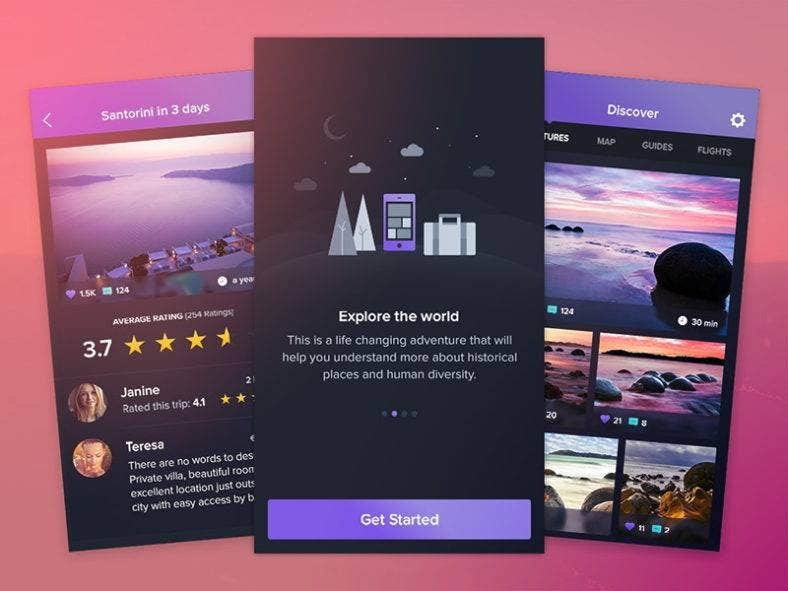 No matter which of the designs you choose for your travel app, these apps undoubtedly make every traveler’s experience easier and hassle-free as they are created with the best tools for app designers. With their appeal and simplicity, we assure you that every destination your users go to will be more exciting and fun.